I received an email this morning which caught my attention as it had a nice picture of a bus on it. (usually works for me!). The full email can be found HERE where you will see full details of what looks to be a really good festival. Good to see Citybus involved. As for that excellent photo, where have I seen that before? First Kernow new website up and running. 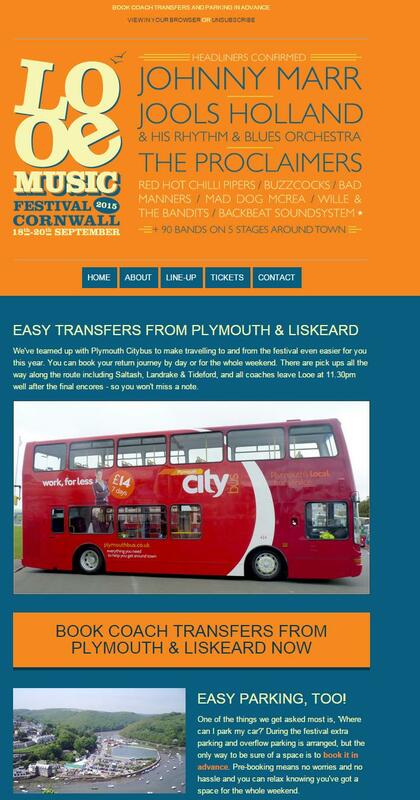 www.firstkernow.com nothing really amazing about it, basically the buses of somerset style site with a very messy first Olympia branding.